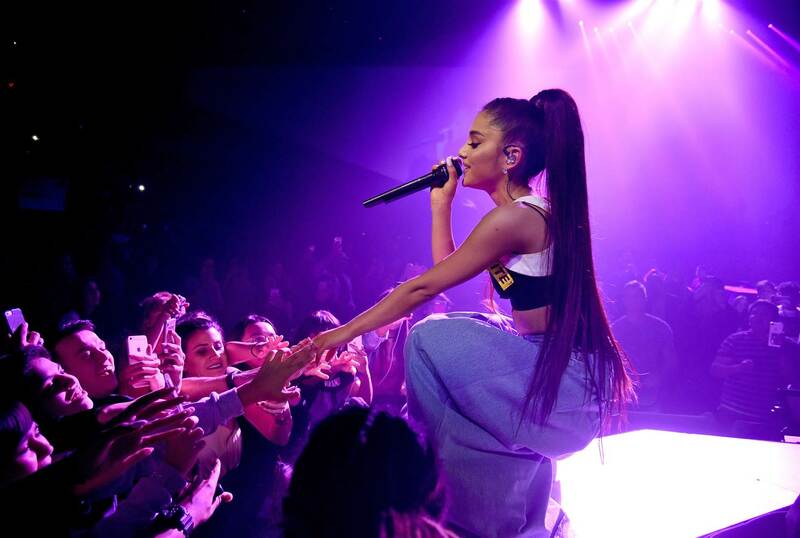 With Beyoncé‘s show-stopping headline set at Coachella last year — Ariana Grande low key had a lot to live up to this weekend as reigning pop supreme. But, naturally, she didn’t disappoint. The star enlisted in ‘NSYNC to push her set over the edge, giving a nostalgic energy to her live performance that an older crowd could appreciate. Throwing it back to songs like “Tearin’ Up My Heart” and a magnificent “Break Up With Your Girlfriend, I’m Bored” vs. “It Makes Me Ill” mashup, their on-stage chemistry breathed new life to ‘NSYNC’s hits. Nicki Minaj also showed up to perform a couple of tracks, “Side to Side” and “Bang Bang.” She also brought out hip hop legends Diddy and Mase. Let’s be real, Grande and her immaculate voice could have carried the entire show on their own — but Coachella is so much better with special guests. The more the better. At one point, Grande got on the mic to proclaim: “I’ve been practicing my whole life for this moment! I could die now.” Ok, please don’t before next weekend. We’re so ready for round two!